[패턴영어] ~하지 않으면. Never give advice unless you are asked to. Never give advice unless you are asked to. 요청을 받은 게 아니라면 절대로 충고를 하지마. 요청을 받은 게 아니라면 절대로 충고를 하지 마. 무엇인가 하지 않으면 아무것도 바뀌지 않아. Noting will change unless you do something. 네가 가는게 아니라면 나도 공연에 가지 않을 거야. I’m not going to the show unless you are. 적극적으로 노력하지 않으면 나아지지 않아. You won’t get better unless you work on it. 꼭 해야하는 게 아니라면 난 운전을 좋아하지 않아. I don’t like drive unless I have to. 급한 것이 아니라면 끼어들지 마.
Don’t interrupt unless it’s urgent. 변화가 있지 않는 이상 나는 따를 수 없어. I can’t comply unless there are changes. 화재가 있지 않는 이상 그 단추를 눌러서는 안 돼. You mustn’t push that button unless there’s a fire. 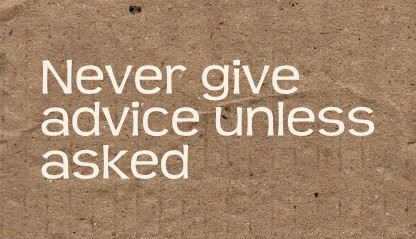 A: Never give advice unless you are asked to. B: I didn’t need to hear that. 내가 그 말을 들을 필요는 없었겠네. A: I don’t like drive unless I have to. 꼭 해야 하는 게 아니라면 난 운전을 좋아하지 않아. B: I get where you’re coming from. 그 말이 어디서 나왔는지 이해하겠어. A: You mustn’t push that button unless there’s a fire. 화재가 있지 않은 이상 그 단추를 눌러서는 안 돼. B: “Emergency only”. Got it.